Our April celebration of royal diamonds continues! Today we're ranking the best of the diamond earrings worn today by royal ladies. Be sure to tell us about your own top ten list in the comments! When she wears major tiaras and necklaces, Princess Caroline of Monaco often also dons a gorgeous pair of Art Deco-style diamond earrings. Sources say that the earrings, which have stunning square diamond drops, once belonged to her grandmother, Princess Charlotte, Duchess of Valentinois. 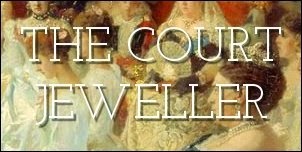 Among the treasure trove that is the collection of jewelry the Queen Mum inherited from the Hon. Mrs. Greville, the diamond chandelier earrings are some of my favorite pieces. The earrings were made by Cartier in 1929, and they feature a variety of diamonds in different cuts set in platinum. The current Queen received them as a wedding present from her parents in 1947. Made by Garrard in 1858, these gorgeous earrings feature twelve-carat pear-shaped pendants. The pendant stones came from the Indian armlet that once housed the Koh-i-Noor Diamond. The earrings have been worn at the past three coronations by Queen Mary, Queen Elizabeth, and Queen Elizabeth II. Queen Maxima often wears these dramatic diamond pendant earrings, which originally belonged to Queen Juliana. And this pair is not only beautiful but also versatile: other drop stones can be swapped out, including Juliana's gorgeous briolette-cut aquamarines. When Princess Madeleine of Sweden was married in 2013, she wore one of the oldest pairs of diamond earrings in the Swedish royal collection: the Vasa earrings, which originally belonged to an eighteenth-century Swedish queen consort, Louisa Ulrika. The earrings feature intricate central diamond motifs surrounded by a delicate frame, which can also be worn separately. When she gussies up for a white-tie event, Queen Mathilde of the Belgians often wears this glittering pair of diamond fringe earrings. I'm not sure that we know the provenance of these, but they're a great complement to either of the diamond tiaras she wears. This dramatic pair of pendant earrings, worn today by Queen Sonja of Norway, has major historical impact: the pendants were once part of a necklace that belonged to Queen Alexandra of the United Kingdom (mother of Norway's Queen Maud). It's no surprise that Sonja often wears these with the large heirloom diamond tiara from Josephine of Leuchtenberg's collection. The collection of joyas de pasar pieces in Spain -- a group of Queen Ena's jewels that has been designated to be worn by the Spanish queen -- includes this enormous pair of round diamond earrings. Talk about sparkle! If you're a Dane, congratulations: you're technically part owner of these fabulous earrings! These diamond earrings are a part of the Danish crown jewels, which are owned by the state but at the disposal of the monarch. The earrings were made in 1840 by C.M. Weisshaupt; they also have a coordinating necklace and brooch.